The best snacks are packed with flavor, color, and nutrition! Here are a couple of things to focus on when choosing a snack for your kid! Dairy (e.g. low-fat milk, yogurt and reduced-fat cheese). 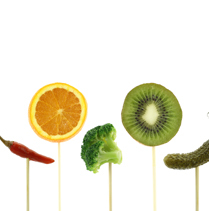 Think variety, color, flavor, and texture. 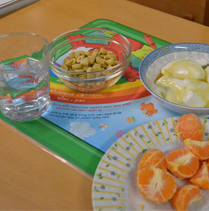 Children eat with their eyes, so make sure to mix and match different colors. Try different textures to create a more interesting snack or meal. 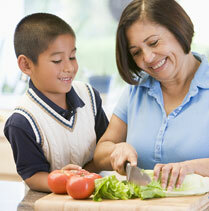 To get some great snack ideas with fruits and veggies see Fun with Fruits and Vegetables. Katie is a Registered, Certified, and Licensed Dietitian Nutritionist and a Certified Specialist in Sports Dietetics. She owns her own business, FitNutrition, in Mystic, CT. Katie is passionate about helping others be the best they can be both physically and emotionally. To do so, Katie provides individual counseling, sports nutrition, and gives nutrition presentations to athletes, students, and adults. Walnuts – What, Why, and How?